Yamaha Motor Co., the second largest producer of motorcycles in the world, recorded first quarterly loss in the last four years, based on the decline due to demand global recession. Bloomberg calculated the loss in the fourth quarter of last year to 41.65 billion yen (351 million), using annual preliminary information made public by the company during the day yesterday. 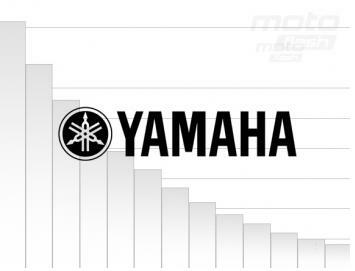 Yamaha has made a massive loss of customers in North America and Europe, targeting people for consumption decreasing drastically in full credit crisis and falling real estate value of properties. The company will reduce the salaries of management personnel with up to 20% since February and up to December this year. Annual net profit fell by 98% to 1.5 billion yen (12.63 million) compared with that obtained in 2007 from 71.2 billion yen (600 million), as illustrated by the report published yesterday. The company, which obtains 90% of revenues outside Japan, had suffered and because of the strengthening Japanese yen on international currency markets. Yen has gained 17% against the U.S. dollar in the last quarter of the year, seriously reducing the amount of sales from outside the country. Yamaha shares were less affected, at least so far, recording a value of 880 Japanese yen per share in late trading session yesterday the stock market in Tokyo.